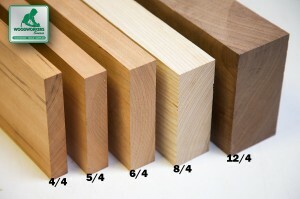 Quarter Sawn White Oak lumber comes in random widths and lengths, with a uniform thickness. Surfaced 2 sides (S2S) from rough sawn lumber. You should be able to yield approximately 1-3/4" thickness after you flatten, plane, shape or sand your project parts to fit your project. 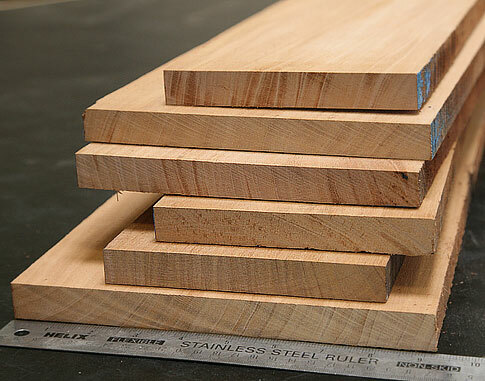 What makes quarter sawn white oak so special is its appearance. It's one of the few woods that reveal stunning rays, or fleck figure - and that's the kind of white oak that's characteristic in arts and crafts, mission, or craftsman style woodwork. The wood makes exceptionally durable and beautiful furniture because it's dense and hard, yet it saws, routs, planes with better than satisfactory results. 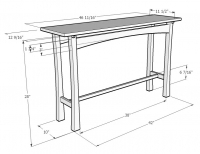 It's a favorite among furniture builders.